The bitter truth was I didn’t know exactly what my customers went through when they called to voice a complaint. Certainly, I knew the logistics of complaint handling in our department, and I knew how the processes were “supposed” to work, but what was the reality? So I went on an expedition to find out exactly what my dissatisfied customers experienced when they called the Customer Care Department. I learned a lot! I challenge you to be your own customer for a day within the next 30 days. Here are 6 things to look for on your expedition as Customer for a Day. Call at exactly 4:55pm. Was the phone answered by a friendly, helpful voice? Were your questions answered fully, just as if it were 10:00 a.m.? Tweet about your product or brand. Does the company respond? If so, how long did it take to get a response? Call up ballistic – Be demanding and irate. Does it end good or bad? Call during lunch or any peak period. How long do you hold? Visit your website. How customer-friendly is it? How accurate is the information on the site? Does it take too many clicks to get help? Does information seem to be hidden? Is the site useful to customers? Send a complaint email. How quick and satisfactory is the response? Conducting this simple “customer for a day” exercise may leave you surprised or disappointed. The good news is you’ll know what your customers go through and you’ll better understand their needs and expectations. The next step is to change everything that you find unacceptable. This blog post is an excerpt from Myra Golden’s book, Beyond WOW. 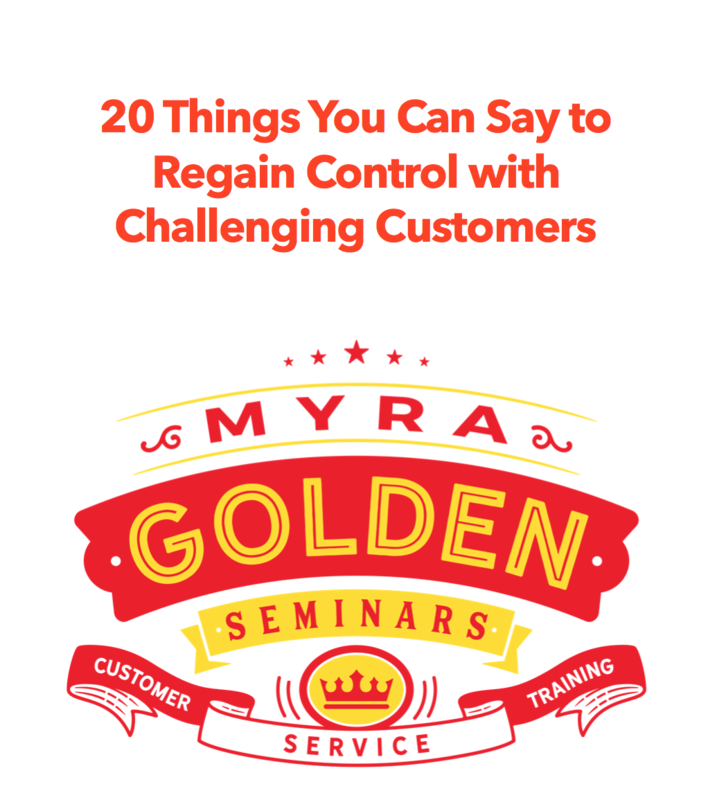 Learn more about Myra’s Beyond WOW book.